The word "originalism" is back in the news again. This happens, as in the case now, whenever a new Supreme Court Justice is nominated or sometimes when the Court hands down a decision with far-reaching consequences that is deemed to be consistent with the intent of those who authored the Constitution, namely the country’s justifiably revered founders. So, you ask, what does originalism have to do with the country’s Presidential election system? Few will gainsay the present reality that never before has there been so high a level of distrust and dissatisfaction with our institutions of governance. There is no agreement, however, about the causes of these attitudes and their destructive effects. There is, however, a small but growing movement that places major responsibility for these damages and escalating dangers on our system for electing our Presidents and seeks to remedy it. James Madison was the primary architect of the Constitution and particularly of the provisions concerning the election of Presidents, the most notable of which was the electoral college system. His letters, articles, and speeches make clear that the electors would be wise men chosen by each state to convene with wise men from other states to deliberate about and select who should be President. Today, electors are not selected by the people nor by state legislatures. They are selected by the political parties using procedures often hidden from the public and perhaps not written down. Some states, like Texas, even prohibit the names of electors from being placed on Presidential ballots. Electors are not chosen because they are wise men, but because of their party loyalty. They do not use their independent judgment in casting their votes for President. Their functions are worlds apart from what Madison and his fellow founders intended. The Supreme Court, itself, has taken note of this change. Modern-day electors are message bearers, akin to the U.S. Postal Service or, today, internet service providers. As a result, the country’s current Presidential election is entitled to no deference under the originalists’ standard – what the founders intended. Moreover, the fundamental flaw in our current system nowhere appears in the Constitution. In fact, the Constitution itself makes clear that neither the electoral college nor the founders are the culprit. Who is it, then? It is the individual states. 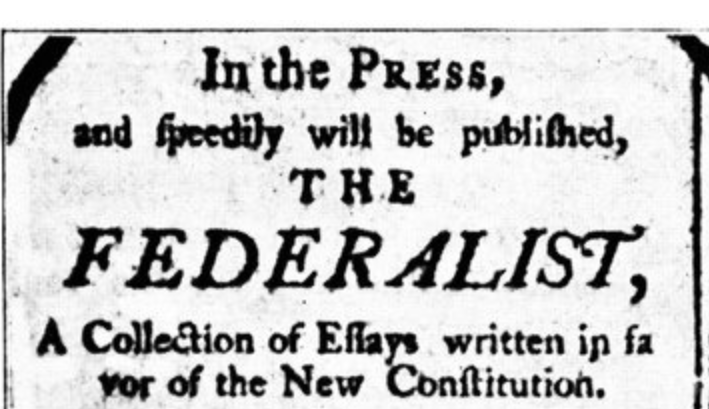 The good news is that under the Constitution, it is the states that expressly have not only the authority, but also the responsibility, to remedy the defect that they themselves created in the first two-thirds of the 19th century, long after the Constitution was written, adopted and ratified. There is no need to resort to the founders’ original intentions to determine where the authority lies to remedy the current system, because the language of the Constitution is without ambiguity in this respect. Even originalists concede that the plain meaning of the Constitution prevails over all other theories of interpreting it. This is so because the crucial flaw in our Presidential election process is that 48 states use a winner-take-all system for allocating their electoral college votes. This system was first adopted in the early 19th century by the state of Virginia to leverage its political clout in Presidential elections, based on its having the largest number of electoral votes. Other large states followed, and to protect themselves smaller states eventually did the same. But the result is that the winner-take-all system effectively disenfranchises all Republican and Democratic voters in the vast majority of states and creates various other un-democratic injustices. And in only one small state, New Hampshire, do votes by both Republicans and Democrats matter. With this critical flaw having been identified and it being understood that the cure resides in the states, the next question is what the cure should be. The answer to that question comes from the people, and it already has. Polls, in all states of which we are aware, show that a majority of the people believe that the candidate who receives the most votes should become President, as is the case for every other election in this country. Originalists and non-originalists can agree that having expressly given this responsibility to the states, they can and should meet this responsibility by allocating their electoral college votes to the winner of the national popular vote and thereby vindicate the founders’ faith in democracy.